Today I’m featuring images from our senior photo shoots with Faith from Cary Grove High School. Faith is in her senior year at Cary Grove where she participates in both the theater and choir! She was also one of our Model Reps for the Class of 2018 and was a total blast to work with! Faith’s outdoor summer session was especially lively with her Mom and sister cheering her on. They also helped with outfits and made sure everything looked just right. They even jumped in on a few pictures!! Love sessions when everyone gets involved – so much fun! Check out these photos from Faith’s sessions and then check out what she had to say about her nFocus experience! Spoiler alert… She loved it!! nFocus: Thanks so much for being one of our Model Reps this year! How did you like the experience? Faith: I loved being a model rep because I felt like I became more familiar with nFocus and got not one but two amazing sessions! If you have the opportunity, being a model rep is so much fun! n: How would you describe your photo shoots? F: My photo shoots were so fun and relaxing! Nick made me feel so comfortable and took my input on everything! F: My favorite part of the photo shoots was the fun! The sets and places we went were awesome, Nick made sure I looked amazing, and he made sure that every pose and picture we took was of my liking! n: Some of your friends may not want to have senior photos taken, or maybe they want to have a friend take their senior photos, what would you say to them about your experience at nFocus? F: I think having senior pictures done by a professional is the best way to go with senior pictures. Nick knows how to pose you, uses professional settings and lighting, and edits afterward to make sure you look just like you want to. Senior pictures with nFfocus is a priceless experience! n: Your Mom and Sister were both at your shoot. Did you feel like it was important to have them there? F: Yes! 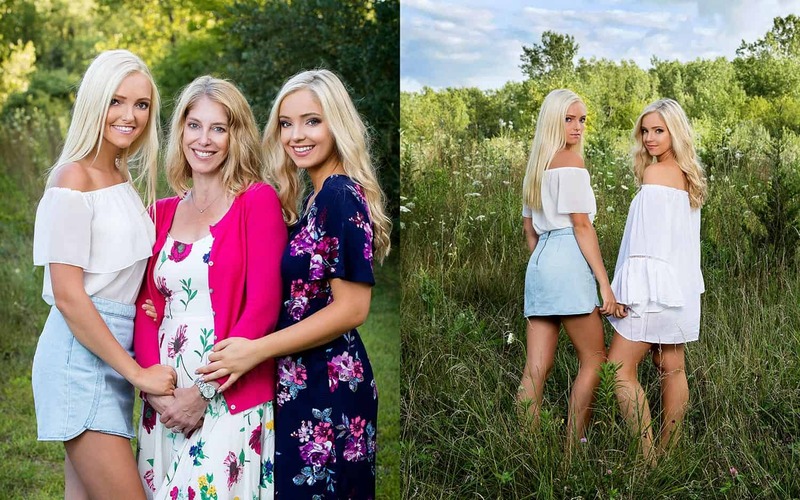 I thought having my mom and my sister at the photo shoot created memories and pictures that will last a lifetime. It is so nice to look at pictures with the two most important women in my life and know that they got to take part in such an amazing experience with me! Nick is awesome with accommodating anyone else you want at your shoots, and I’m so happy I had my mom and my sister there! n: Were you happy with the final photos? F: I can not even explain how much I loved the final photos! I couldn’t have asked for them to turn out better! If you want amazing pictures, nFocus is the way to go. F: If I had to describe my senior year in 3 words it would be.. Unforgettable, Exciting, and Rewarding! F: I see myself in 10 years being a successful nurse or missionary! I hope to also be living on the East Coast! n: Where would you most like to go to college? F: I got accepted to Liberty University, and will be studying to be a nurse! n: Who was your favorite band when you were 10? F: My favorite band when I was 10 was the Jonas Brothers, HANDS DOWN! F: Most people don’t know I absolutely love reading books! My favorites are the Harry Potter series and the novel The Voice in the Wind!